After starting the season 1-1, the Youngstown State University men’s basketball team will compete in the Red Diamond Roundball Classic, a four-game tournament hosted by the University of South Alabama. 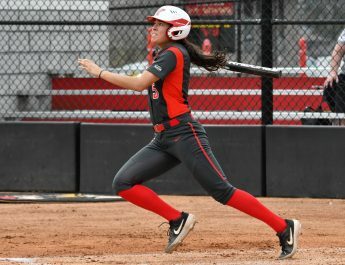 YSU will play Jacksonville University on Friday, the University of South Alabama on Saturday and Florida International University on Sunday. The final game of the tournament will be played against Westminster College at the Beeghly Center on Tuesday. YSU head coach Jerry Slocum said he’s concerned about the health of his players in the tournament. He said the team will have to play four games in five days and the schedule doesn’t allow time for the players to rest. “We got back last night around 1:30 [a.m.]. It’s a concern for me going forward with our tournament,” Slocum said. “We leave tomorrow at 6 a.m. That turnaround is concerning for me, that there is no hangover. I don’t think there will be a hangover mentally — my concern is physically. In addition to the stress of playing in the tournament, YSU forward Rahim Williams suffered an apparent leg injury during the Penguins’ 103-98 to the University of Toledo on Tuesday night. Slocum said he is unsure of Williams’ status because he was being reevaluated on Wednesday afternoon. Slocum said he’s not a fan of the “exempt tournament” process. An exempt tournament, such as Red Diamond Roundball Classic, is a four-tournament format but only two of the games count on a team’s official schedule. According to the NCAA, a program is only allowed to schedule 29 games per season. But all teams technically participate in a 31 games per season because of the “exempt tournaments.” Two games in the tournament are officially counted toward a team’s schedule, while the two remaining games are vacated. Slocum said the Penguins will have to deal with the schedule, but will need to focus on all three teams this weekend. After the three games on the road, the Penguins will come back to the Beeghly Center to play Westminster in the final game of the tournament. Tipoff against Westminster is scheduled for 7 p.m. on Tuesday. YSU’s games against South Alabama and Westminster can be seen on ESPN3.